Dr Rina is an enthusiastic doctor who pursued her post-graduation fellowship degree in diabetology medicine at Madras Diabetic Research Foundation (MDRF) at Chennai. Her special field of interest is treating pregnancy-associated diabetes and she has more than 7 years of experience in treating patients with diabetes and its related complications. 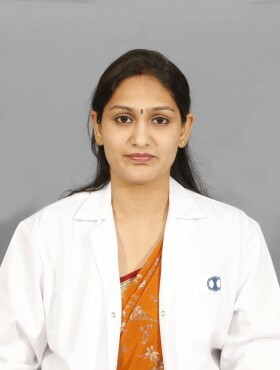 She has good experience and take immense pleasure in treating pregnancy related diabetes, thyroid disorders, obesity related disorders in women (Polycystic ovarian disease) and also childhood diabetes. She is also awarded a certificate for evidence based management of diabetes by the Public Health Foundation of India (PHFI). She is actively involved in conducting awareness camps and has given many talks in media regarding diabetes.